Its a New Year and a new you, so what's the absolute essential to aid this transition...a new perfume of course! Scent is so evocative that I really believe that a new perfume has the power to lift you from drab to awesome but finding the right one is easier said than done... I've painstakingly spent hours spraying all different brands until I feel suitably sick and every inch of my arms are covered! Something that smells good in the shop can develop into something entirely different an hour later and sometimes it can be tricky not to be dazzled by pretty bottles and packaging. However when you've finally decided on the ONE, there is something very satisfying in the that part of your morning routine. Hair and makeup as good as they can be at the crack of dawn, outfit pulled together and then a final squirt of something amazing before you face the day ahead! Over the years I would like to think my perfume tastes have matured slightly... I started out as a Tommy Girl wearer, becoming more girlie and leaning towards Emporio Armani She, then moving onto the fresher Davidoff Cool Water Woman, thankfully quite quickly I fell for Chloe, which was then pipped to the post by my 2012 favs Stella and Jo Malone Blackberry and Bay. 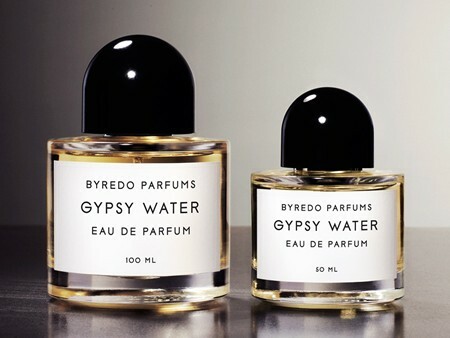 However there's a new kid on the 3BM fragrance block for 2013, we're all truly obsessed with BYREDO Gypsy Water. We think this may just be the one, our forever fragrance...! 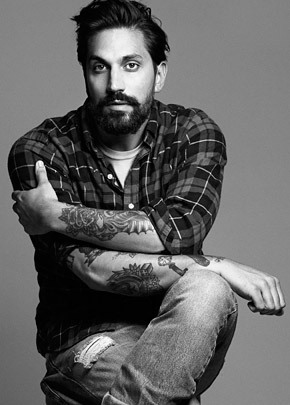 In 2006 BYREDO was founded by Ben Gorham in Sweden, taking a back to basics approach to the perfume industry by using simple compositions and the highest quality raw materials. Ben has mastered the difficult combination of a unique and modern brand without loosing the traditional techniques and elements of a good quality fragrance - simplicity and hence a clear identity and individuality. Personally I like perfumes which can be worn day to night, not too heavy that the morning commuters are gassed with something that should only be worn around others after 8pm, but then again not too weak and so pansy-like that you have to be within 30cm of the wearer to appreciate it. My biggest annoyance are fragrances that you can smell for five minutes and then require reapplication every half an hour. BYREDO manages to last the distance without being too overpowering, I put several sprays on at 7am each morning and by lunchtime I can still smell it. It isn't a miracle worker, I have to top up before heading out of the office but definite brownie point for staying power! My other gold star is awarded for the exclusivity of the brand, as it's a Stockholm based fragrance house, Byredo has a dedicated store selling the entire range in the Stockholm city centre and is then stocked in selected stores in 21 other countries globally. In London the only place you can purchase the brand is Liberty, which means you're not going to find it popping up in Superdrug and Boots on every high street! I get no greater pleasure than somebody asking what I'm wearing and my answer being, Gypsy Water...firstly what a brilliant name, and secondly no one has ever answered 'Oh I have that as well'! Describing a scent in words is never easy, but I'd describe Gypsy Water as at first fresh and zesty with warm vanilla sweetening things up. As the fragrance develops, it becomes a little peppery with a hint of earthy, rich amber and sandalwood. It's a very pretty perfume with just the right amount of masculine edge. "The scent of fresh soil, deep forests and campfires illustrates the dream of a free, colorful lifestyle close to nature." I urge you to explore the BYREDO website and read through the beautiful, almost poetic fragrance descriptions. 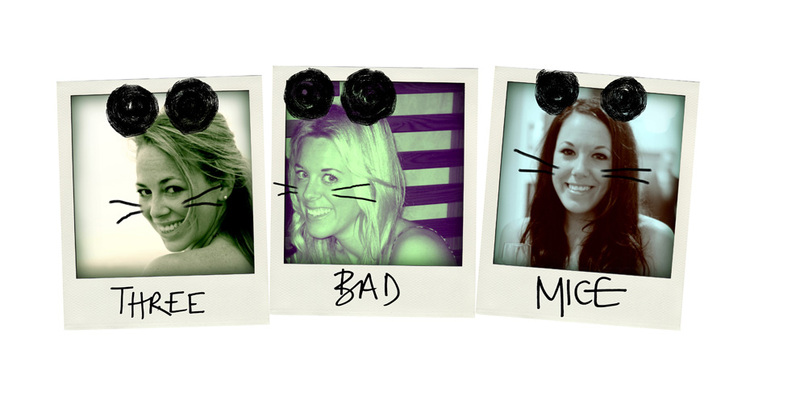 Ben creates his fragrances based on memories of certain times and places which is reflected in each description. Visit Liberty now and take a look at the full range of Perfumes, Body Care (body lotion, shower gel, soap and body cream) and Home Fragrance - I can assure you, you won't be disappointed! Just keep your hands off the Gypsy Water, that's OUR signature scent!